The upcoming Science Writers 2014 Conference is sure to be an amazing experience. I am hoping that many NABJ members consider attending this conference because of the number and variety of professional and networking opportunities it offers. Here is a chance to attend and have your conference costs covered. Announcing the NASW Diversity Travel Fellowship. 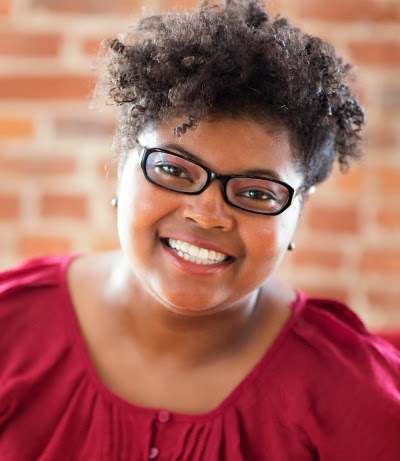 Sponsored by a generous NASW Idea Grant, these travel awards (5 at $1,000 each) were created to encourage underrepresented minorities in science journalism to attend the ScienceWriters2014 conference in Columbus, Ohio. US based underrepresented minority journalists are encouraged to apply especially African-, Hispanic-, and Native-Americans who have journalism experience in STEM, medicine, health, environment, technology, etc. The grant continues my ongoing work with DiverseScholar and our work to increase diversity in the science communication workforce. Why does diversity matter in science communication? We already know that diversity impacts what information in brought before different audiences. Science-related information is no different, but because its important role in each of our lives diverse perspectives matter even more. Delivering culturally relevant health, science, technology, and environmental news is important and is the key to addressing disparities in access to essential services and future career opportunities in these growing fields. The meeting offers several networking opportunities to connect with other journalists, science communicators and scientists. You’ll hear speakers talk about current research related to society issues and information perception, science-related policy issues such as GMO biotechnology, impact of culture in reinforcing racial and sexist stereotypes, health care and public health. This conference will be awesome, so apply for the travel award. More details about the application and fellowship are here. Application includes 10 survey questions, upload your resume or CV and one 500+ word essay asking applicants to describe the importance of diversity in science communication. Preview the entire application at this link. Deadline to apply is Friday August 29 at 11:55 pm PST using this online application. Connect to other Science Communicators on Twitter and connect to other Science Writing conference attendees. Meeting registration opens August 15, 2014. But apply today. Deadline for the fellowship is August 29. If you have questions about the travel fellowship direct them to me, @DNLee5 and @MinorityPostdoc. Dr. Danielle N. Lee is an NABJ and NASW member, a science blogger and co-founder of the National Science & Technology News Service. I am back from the 2014 NABJ Conference in Boston, Massachusetts and I fired up! There were so many great conversations happening. I was especially excited about the series of panels arranged by Healthy NABJ. These panels explored the critical role of journalism in better healthcare delivery to underserved populations. But it wasn’t just about healthcare, folks were discussing technology, and weather preparedness, sports, fashion, beauty, and more. Though not explicitly covered, but all of these topics have very, very strong science, technology, engineering, and math foundations (STEM). Science is at the heart of so many of stories that NABJ members deliver. Which is why I am inviting my fellow NABJ members to the annual Science Writers Conference, October 17-20, 2014 in Columbus, Ohio. The conference is hosted by the National Association of Science Writers (NASW) and Council for the Advancement of Science Writing (CASW). The meeting offers several fun networking and engaging professional development opportunities: Friday reception, Saturday, a Sunday party, Lunch With a Scientist, two days of stellar research presentations (e.g. CASW’s New Horizons in Science), lab tours and field trips through Tuesday. Registration for the meeting opens August 15, 2014. Trust me, this meeting will enrich you. Full agenda is here, but here are the highlights. 1. Saturday morning panel on Media Diversity, with NABJ Digital Taskforce Co-Chair Tracie Powell. 2. The Culture Dish Mixer, a chance for minority journalists connected to each other and to the larger science writing community and a mixer at ScienceWriters2014. 3. Sunday morning opening speaker, Brad Bushman will give a briefing on the New Horizons in Science. His research examines how stereotypes about race/ethnicity and gender are heightened by violent media and violent video games. His work and that of Mahzarin Banari’s, explores how the culture of violence may be nurturing racism and sexism. This definitely impacts news delivery across beats. 4. The Sunday program will also include discussions about the brave-new-world possibilities of “genome editing” and “gene drives” as well as the messages people are getting about genetically modified food crops. These technologies will require society to make careful policy choices. It’s important that all communities, especially those that have historically-tenuous relationships with science such as African-Americans, be well-informed about these new technologies and that diverse voices are heard. Speakers include George Church and Allison Snow. 5. Public health issues are of strong interest to minority communities and NABJ has a very active Healthy NABJ team. Maura Gillison will give a talk on HPV that will connect public health, individual behavior and genomic analysis to explain how she’s trying to reduce the incidence of head and neck cancer. In addition, the session by Jan Kiecolt-Glaser and Martha Belury on marital stress and health is going to make some surprising new connections with obesity and depression. 6. How to write for local and non-science publications. This session will feature freelance journalists who have found success pitching science-related news stories to smaller outlets and those that do not traditionally cover science. This session will be especially useful for journalists interested in pitching stories to minority-serving news outlets. 7. Plus there will be opportunities to meet and interview a number of scientists. Including leading Latino- and African-American scientists whose research impacts their communities and whose service works to diversity our US STEM workforce. Meet Alán Aspuru-Guzik, a lively scientist who has been a mentor to a number of Hispanic students and postdocs at Harvard. He’s enthusiastic about promoting interest in science, especially in his homeland of Mexico, and is also a great interview. Also meet Erich Jarvis, co-leader of a large avian phylogeny project that will make a multi-paper release this fall. This meeting will be awesome. I want to see you there! Make plans to attend. But if you still need more info, check out these recaps from ScienceWriters2013 by CASW and KSJ Tracker; and prepare for the conference with advice from SciLance and Open Notebook. Follow along on Twitter and connect to other conference attendees.